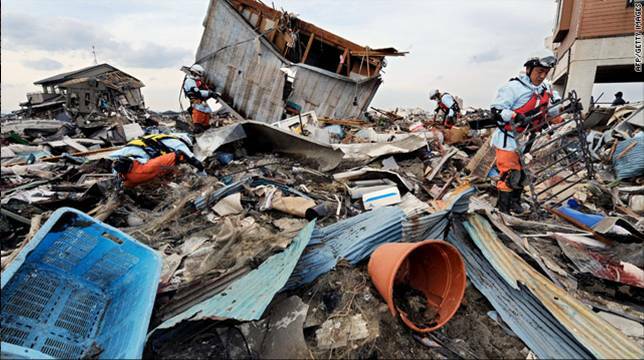 When disaster strikes, who decides what medical care is needed? How do doctors decide who gets treated first? Which injuries and illnesses should be prioritised? How do responders deal with lingering questions about whether they did the right thing? What if the responders have different ethical values and priorities to those in the culture they have come to help? What sort of research is needed to provide evidence for disaster responders and how can it be conducted ethically? Who should oversee disaster research when the local infrastructure may be demolished? These, and many other ethical questions are raised by disasters and responses to them. I have chaired from 2012 to 2016 an EU-funded network of academics and international organisations addressing these ethical questions. The resources developed by this network are available at its own website and more continue to be added. See: Disaster Bioethics COST Action. A new initiative is now being developed to continue this work. See: Center for Disaster and Humanitarian Ethics. Some resources I have contributed to are available from the links below. Signe Mezinska, Péter Kakuk, Goran Mijaljica, Marcin Waligóra and Dónal O’Mathúna, “Research in disaster settings: A systematic qualitative review of ethical guidelines,” BMC Medical Ethics 17.1 (2016):1-11. Dónal O’Mathúna, “Ethics and Evidence,” an Evidence Aid blog with Hugo Slim (August 2016). Gabrielle Berman, Jason Hart, Dónal O’Mathúna, Erica Mattellone, Alina Potts, Clare O’Kane, Jeremy Shusterman, & Thomas Tanne, “What we know about ethical research involving children in humanitarian settings: An overview of principles, the literature and case studies,” Innocenti Working Paper No. 2016-18, UNICEF Office of Research, Florence, 2016. Dónal O’Mathúna, “Ideal and nonideal moral theory for disaster bioethics,” Human Affairs 26.1 (2016): 8-17. Dónal P. O’Mathúna & Johan Von Schreeb, “Ethical dilemmas with amputations after earthquakes,” UNISDR Scientific and Technical Advisory Group Case Studies – 2015. Ana Borovecki, Jónína Einarsdóttir, Dónal O’Mathúna, Paulina Pospieszna, Orly Maya Stern, Natália Oliva Teles. “20 years of the ICRC Code of Conduct for Disaster Relief: What do we need to improve?” [Correspondence] The Lancet 385 (11 April 2015): 1391. Dónal P. O’Mathúna, “Research ethics in the context of humanitarian emergencies,” Journal of Evidence-Based Medicine 8.1 (2015): 31-35. Matthew Hunt, Lisa Schwartz, John Pringle, Renaud Boulanger, Elysée Nouvet, Dónal O’Mathúna, & participants of the Humanitarian Healthcare Ethics Forum, “A research agenda for Humanitarian Health Ethics,” PLOS Currents Disasters (August 2014): Edition 1. Dónal P. O’Mathúna, Bert Gordijn, Mike Clarke (eds.). Disaster Bioethics: Normative Issues When Nothing is Normal. Dordrecht: Springer, 2014. ISBN 978-94-007-3863-8. “Disasters,” in Compendium & Atlas of Global Bioethics, ed. Henk A. M. J. ten Have and Bert Gordijn, pp. 616-639. Springer, 2014. “Ethics in disaster research,” Cochrane Evidence Aid podcast, 20 May 2011.